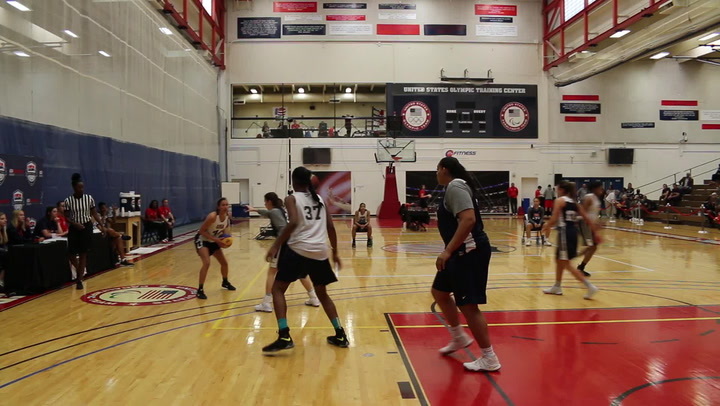 The USA Women’s World University Games Team (3-0) never trailed and remained unbeaten in the 2015 World University Games women’s basketball competition with a convincing 92-54 win over previously undefeated Czech Republic (2-1) at the Muan Indoor Gymnasium in Gwangju, South Korea on July 7. The USA will advance to the medal round quarterfinals on July 9, where it will play the No. 2 seed from Group A, Hungary (2-1), at 7:30 a.m. EDT, live on ESPNU. After comparably slow starts in its first two wins over Italy and China, the United States came out on fire in the group-stage finale. The USA used a swarming full-court press to stifle the Czechs and converted 14-of-15 field goals in the first quarter, shooting 93 percent en route to establishing a 30-15 lead after 10 minutes. With the score even at two-all early, Courtney Williams (South Florida/Folkston, Ga.) led her team through a 13-0 run in which she scored the final six points. The guard finished with eight points in the first quarter, matching Mercedes Russell (Tennessee/Springfield, Ore.), who netted four of her eight points from offensive rebounds. The Czech Republic, which trailed by as many as 20 points, in the first period, cut the deficit to 10 at 34-24 midway through the second quarter, but the United States cranked up the heat one again. The red, white and blue scored 12 of the next 16 points in the game, capped when Aerial Powers (Michigan State/Detroit, Mich.) stole the ball off the inbound and coasted to an easy layup with 2:15 left. That put the USA ahead, 46-28, and three free throws from Erica McCall (Stanford/Bakersfield, Calif.) made it 49-32 at the midway point. Russell and Powers continued to score seemingly at will during the third quarter. Powers opened the stanza with a 3-pointer, one of two she would nail during the third. Russell added six more of her game-high 18 points, including two with 3:00 to go that pushed the advantage north of 30 for the first time in the contest. Sydney Wiese (Oregon State/Phoenix, Ariz.) and Katie Hempen (Arizona State/Highland, Ill.) connected from deep down the stretch, with Hempen’s first basket of the day coming just before time expired in the third quarter. The United States led 79-46 through 30 minutes. McKeown was able to rotate in some fresh legs in the fourth quarter, and the group held the Czech Republic to eight points in 10 minutes before finishing off a 92-54 triumph. Brionna Jones (Maryland/Havre de Grace, Md.) nearly outscored the opposition by herself, tallying seven of her 13 in the fourth quarter. As a team, the United States shot 55 percent (40-for-73) against the Czech Republic, while its defense held the other side to only 28 percent (19-for-68). Both marks are the best they have been in the three games thus far. 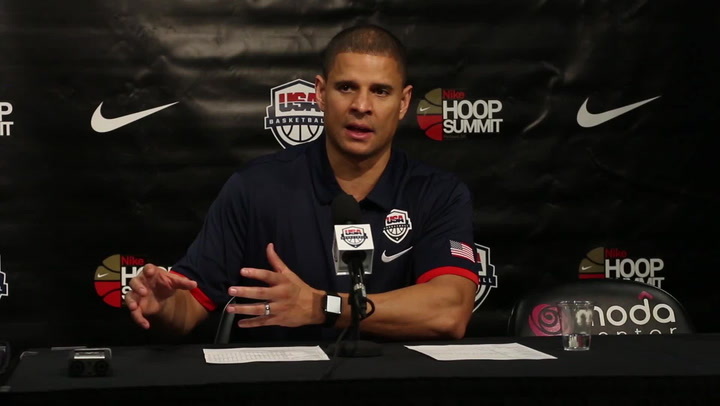 The USA is shooting 51.2 percent, while opponents are at 33.2 percent in the tournament. 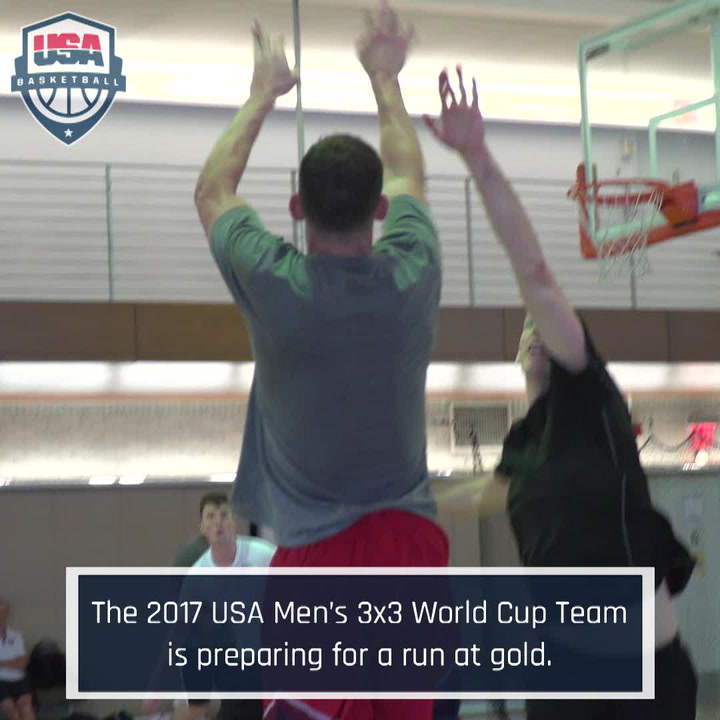 The USA continued to over power teams inside as well, adding 58 more points in the paint to bring its tournament total to 172 (57.3 ppg). The rebounding margin continues to climb as well, and it now sits at +23 through three games. Russell is averaging a team-high 10.3 rebounds per game, while McCall is close behind with 9.7 rpg. Russell finished with her second consecutive double-double with 18 points and 12 rebounds, while Jones secured her first double-double with 13 points and a game-high 13 rebounds. The pair combined for 11 offensive boards alone Monday. The semifinals are on July 11, the bronze medal game is on July 12 and the gold medal game is set for July 13. 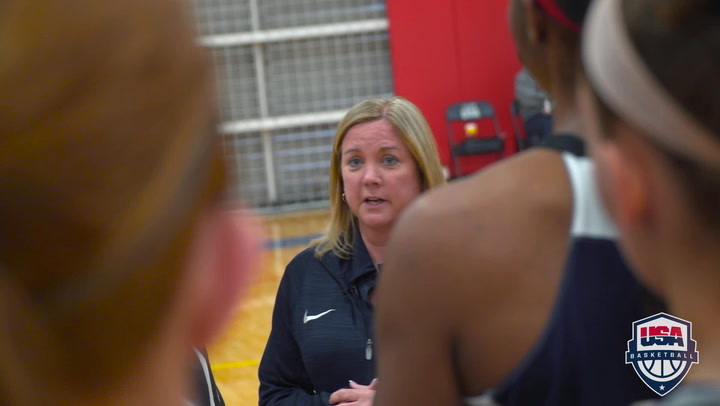 USA Basketball women’s teams have participated in 17 World University Games and collected a record nine golds, six silvers and one bronze medal. 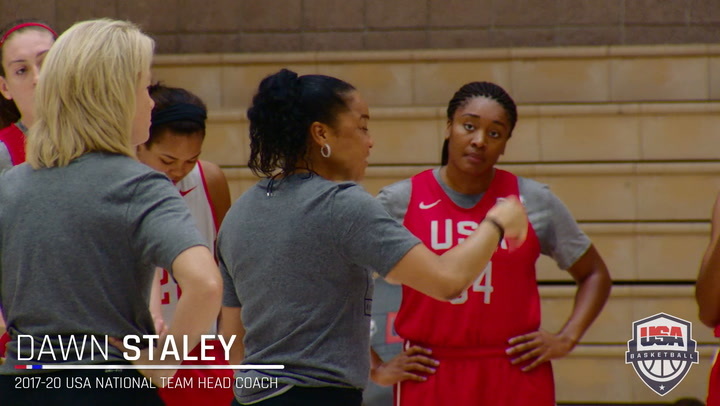 Since 1973, the first year the USA women competed in the World University Games, USA women’s teams have compiled a 104-15 as of Tuesday. The USA has won gold medals in the past five WUGs in which it has competed (2001, 2005, 2009, 2011, 2013).